i m working on project of aircraft. I m supposed to predict first points of separation. Aircraft is set up so that root of wing has 4° higher angle of attack than the rest. Fuselage is also done in such way that it creates diffusor and should cause huge separation before anypart of wing stalls. Trouble is, the last point to separate is the root. There must be problem with setup of simulation, code or numerical settings but this result is non-sence. Could you please have a look ? Lift readings are really good compared to wing tunnel. Only the separation point is really bad. 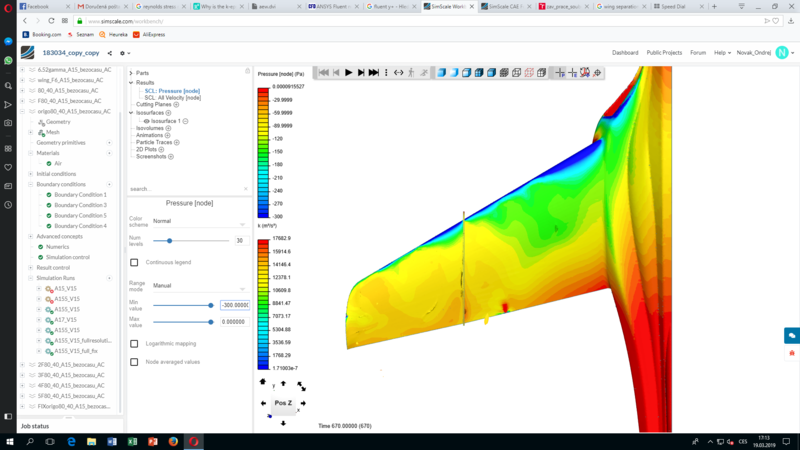 project is https://www.simscale.com/projects/Novak_Ondrej/183034_copy_copy/ … the last run and last simulation setup should be the best. But it is not. Very nice project, I love it! Can you please let me know what criterion you are using to say that the flow is separated? Have you already plotted skin friction drag over the chord length and see where c_f is equal to zero? Afaik deriving the separation point directly from a “pressure diagram”, namely c_p value prediction is not 100% accurate when it comes to this type of issue. How good are your lift values compared to your measurements? I generally plot velocity surfaces having vector of velocity against main stream. 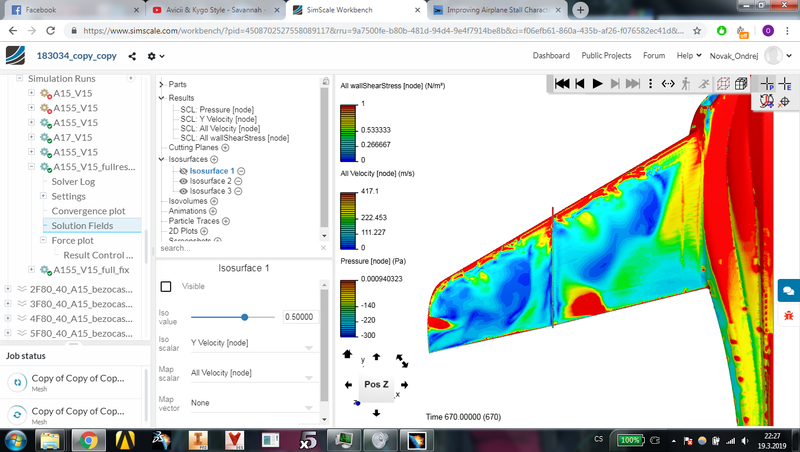 If i plot wallshear stress ( used to calculate skin friction drag), then where wallshearstress is =0 than that regions can be considered separated ? When looking at separation, it is indeed zero shear stress your looking for, however, its best to actually put surface lines on and look for the divergence to make it more clear. You can use paraview for this called surface LIC. Did not know about the trick with the LIC filter Darren but makes complete sense using that - nice one! But there is probably another issue. Whats the difference between these two meshes ? Can i create the correct one using simscale ? Can this be done in ICEM meshing ( i have acces to it ) ?